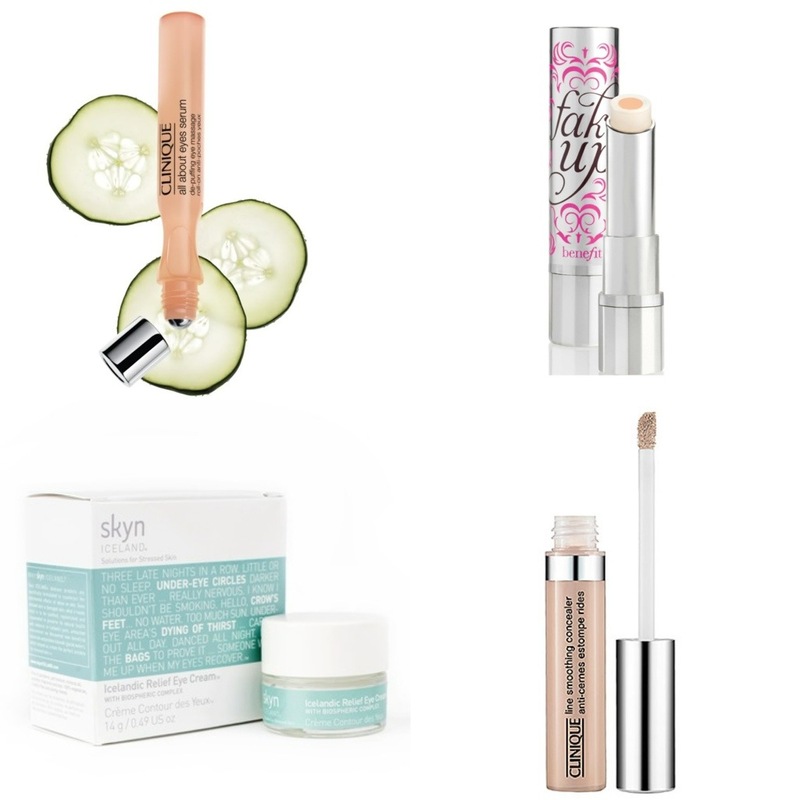 These are a few of my favorite products to help heal and conceal dark circles. I recommend getting a skin care product to use twice a day to treat them, and a makeup product to help cover them during the day. Clinique’s All About Eyes Roller ball serum ($28) is a cooling and soothing product for under your eyes to treat puffiness and dark circles. I recommend refrigerating it to receive the extra cooling benefits. The Skyn Iceland Eye Cream ($45) offers multiple benefits. It not only helps treat dark circles, but it also helps with under eye puffiness and fine lines around the eye area. Benefit’s new under eye concealer called “Fake Up” ($24) is a great way to cover your dark circles without looking heavy and without settling into any lines. It’s a crease control formula that contains skin care benefits inside for extra hydration and treatment as well. Clinique’s Line Smoothing Concealer ($16.50) is another great concealer to use under the eyes. It’s a very lightweight formula that helps cover dark circles that you can use any where on your face as well. All of these products can be found at your local Sephora or online at www.sephora.com.